I am pretty sure that many people would raise their eyebrows when hearing the word "math" and "fun" used together in a sentence without a "not" somewhere in the middle. But really, math can be fun. Especially now, with the emergence of great educational games on the App Store, learning and practicing math lessons do not have to feel like a chore. Today, I have an awesome app that will surely thrill your juniors to do their homework. Introducing Number Run - an educational app that makes solving math problems fun and exciting. Number Run is a fun endless runner that uses math as its game mechanic. Number Run is a side-scrolling endless runner in which math is the main game mechanic. You help the main character -- a boy or a girl -- destroy obstacles as they try to capture the evil Baron von Count who has stolen the four Mathemagical crystals of the land. The game is divided into four worlds which represent the four basic math operations: addition, subtraction, multiplication and division. Each world is further split into 13 levels that are about one to three minutes long each. Each level starts with the main character running through a forest, a mountain path or a castle. Along the way, he or she will meet with obstacles of many forms, including cliffs, boulders, nasty-looking ogres and spiky wooden traps. The only way to avoid these obstacles is by correctly solving simple math problems that are shown on screen. To input an answer, you simply tap on the numbered piano keys at the bottom of the screen. Much like a "real" game, you are given three hearts at the beginning of each level. Failing to correctly solve a problem (and subsequently running into an obstacle) decreases a heart. Once all three are depleted, the game is over and you have to replay the level from the beginning. On the other hand, you can gain a sort of "power-up" after making five consecutive correct answers. When you are in power-up mode -- denoted by a trail of sparks behind your character as he runs -- each obstacle that you manage avoid or destroy will produce a coin. When you have collected enough coins, you can purchase new outfits for your character at the Store. In addition to the classic Journey mode, Number Run also includes an Endless mode where you attempt to solve as many problems as possible. The game covers four basic math operations - addition, subtraction, multiplication and division. 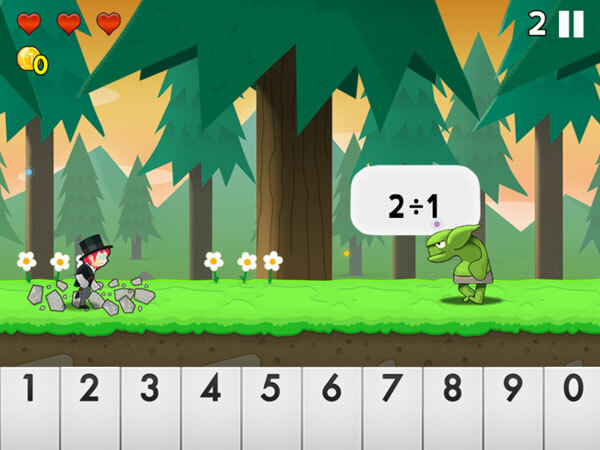 Number Run is a fresh take on educational math game that balances between practice and play. The game offers 52 levels of serious fun for practicing basic math operations. Number Run is fairly simple to understand and play. Game controls are minimal; you only need to tap on the numbered keys at the bottom of the screen to destroy obstacles and lead your hero to victory. Parents need to know that the app does not contain any links to external sites or in-app purchases. 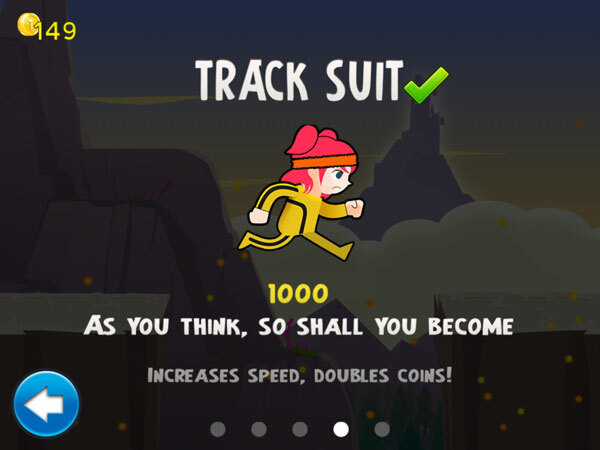 Players can buy outfits for their characters from the store but using only coins collected from the game. There is, however, a Share button at the end of an Endless game. Based on the content provided, the game is suitable for kids aged 7 and up. The app supports up to four players in a single device, so that your juniors can play at their own paces. Avoid cliffs, ogres, spiky traps and other obstacles to capture the evil Baron von Count. Having reviewed quite a few educational-slash-game-apps in the past, I think one of the biggest challenges faced by such apps is balancing equally between practice and play. Most of the time, the game part of the app gets underdeveloped and feels forced. Thankfully, this is not the case with Number Run. For once, here is an educational game that actually feels like a real game. The game mechanic works great and the app flows well. I feel like much thought was given into making the app to ensure that it comes out polished. The graphics are bright, colorful and very well done. The techno soundtracks are catchy, non-distracting and fitting for the game's rhythm. Another thing that I really like is how the developers cleverly inserted geek references in the game. The outfits in the store, for example, are modelled after memorable movie costumes, such as Indiana Jones' getup (but without the whip) and Bruce Lee's famous yellow tracksuit. The castle levels also remind me of the ones in Super Mario Bros. Wii, with the lava at the bottom and the spiky iron balls. While juniors may not get these references yet, I think that geek parents like Eric would be happy to find them. When you have collected enough coins, you can buy outfits for your characters from the Store. While the app is good enough in its current state, I do have several suggestions for the developers for future updates. One of the things that I think would also be requested by most parents would be considering to unlock a few of the earlier levels in each world. This way, older juniors who are eager to tackle tougher problems can do so without having to go through lessons that they may not need. Another suggestion from me would be including more game elements to make the app more exciting. While the storyline is promising, I think adding mini boss battles at the end of each world would be interesting. I also would love to see more power-ups (temporary invisibility, maybe?) to stir things up a bit. 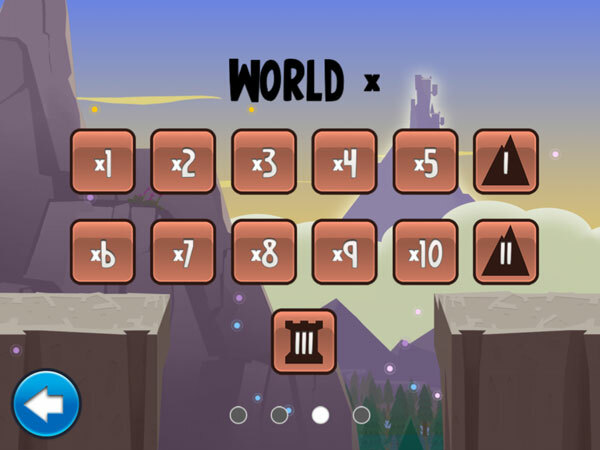 The app consists of four different worlds that cover each of the basic math operations - addition, subtraction, multiplication and division. Number Run is a great and fun app for juniors who want to practice basic math and for adults who want to stay sharp. If your juniors struggle with math or think that it is a bore, here's an app that may just change their minds.